When police in Florida's Volusia County were called to investigate the murder of Richard Mallory, whose gunshot-ridden body had been found in the woods just north of Daytona Beach in December 1989, their search led them to a string of dead ends before the trail went cold six months later. During the spring and summer of 1990, the bodies of six more middle-aged white men were discovered. The police speculated that the murders were connected, but they never anticipated what they'd soon discover: The killings were the work of a single culprit, Aileen Wuornos, one of the first women to ever fit the profile of a serial killer. With the cooperation of her former lover and accomplice, Tyria Moore, the police were able to solicit a confession from Wuornos about her months-long killing spree along Florida's interstate highways. The nation was quickly swept up in the drama of her trial and the media dubbed her the "Damsel of Death" as horrifying details of her past as a prostitute and drifter emerged. 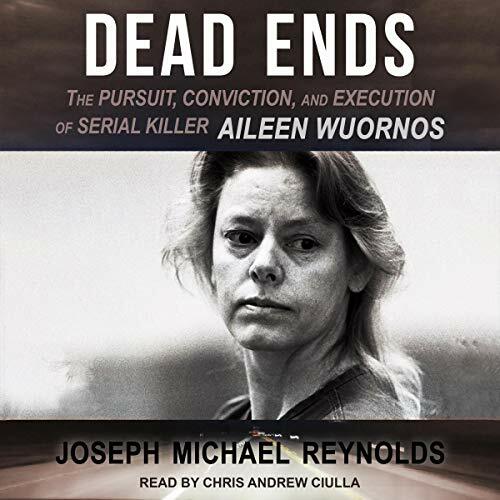 Written by the Reuters reporter who initially broke the story, Dead Ends is a thrilling firsthand account of Wuornos' capture, trial, and ultimate sentencing to death by lethal injection that goes beyond the media frenzy to reveal the even more disturbing truth.